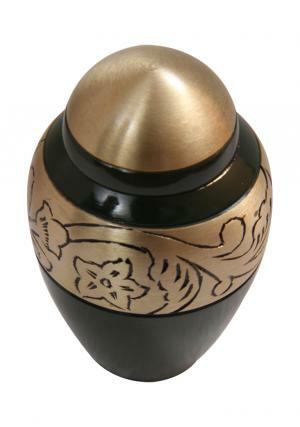 Black etched floral keepsake cremation urn in a antique semi arched with gold flowering on green finish on the solid brass urn and minimised at the bottom. 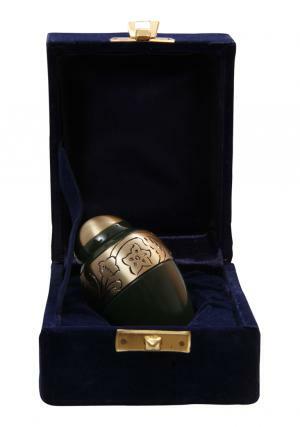 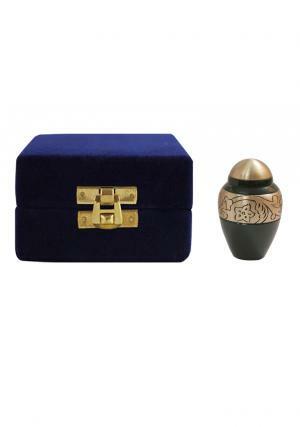 The green engraved best priced urn covers half in plain enamel and the rest in gold engravings. 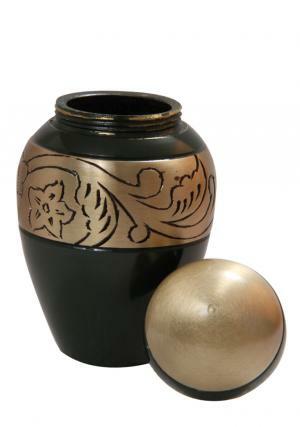 Small keepsake funeral urn has antique semi etching on dome top lid brushed in gold and the urn is made of pure brass metal with threading screw inside the lid to secure the ashes of the funeral. 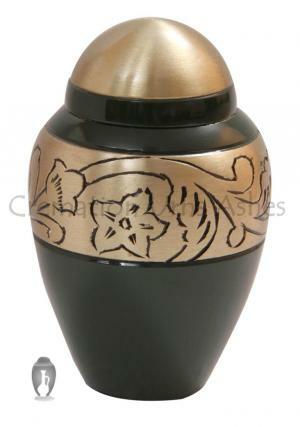 The vacuum space inside the memorial urn measures 3 tablespoons of ashes or considered to be three cubic inches. 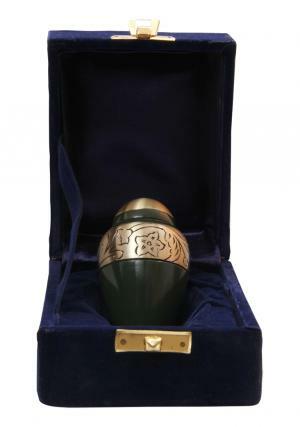 The measured dimensions of the mini keepsake cremation urn are as height x width, 2.95” inches x 1.97” inches and a measured urn weight of 0.2 Kg.